What do companies like Google and Apple have in common? They both love a “Double Irish with a Dutch Sandwich.” As appetizing as that may sound, it is actually a form of legally-permitted tax avoidance. Through a combination of legal loopholes and financial border-hopping, Google and Apple have lowered their collective tax contribution by just under $20 billion in 2015 alone. Here’s how it works: Large companies like Google and Apple minimize their tax burdens by strategically funneling money into offshore tax havens through “shell companies” – corporate sub-entities used strictly as vehicles for transnational capital shifts. Take Apple, for example. “Apple Ireland,” a shell company owned by the U.S. tech giant, sells iPhones to another shell company, “Apple Netherlands,” which, in turn, sells the product to the customer. The Dutch franchise then collects revenue from the sale but pays as much as possible back to the Irish shell company through inflated licensing fees. This process allows Apple to declare negligible revenue to the Netherlands and be taxed on that remaining amount at Ireland’s low rate of 25%. If the revenue had been reported in the U.S., the rate would be 39%. A similar process takes place in New Zealand. Last fiscal year, Apple sold over $4.2 billion NZD worth of products in New Zealand but paid no local taxes. The New Zealand government calculated that, if Apple were to claim the same profit margin within New Zealand that it claims globally, they should owe close to $357 million NZD. Google has found itself in similar situations, transferring money through branches in Bermuda where they only pay 7% in taxes. Unlike tax evasion, tax avoidance is a legal operating strategy. Tax evasion takes place when companies refusing to pay or falsifying reports to hide taxable revenue and assets. In contrast, “tax avoidance” simply means using every available method approved by the state to keep tax rates at an absolute minimum. Companies that engage in tax avoidance have been closely monitored and severely criticized, but what they are doing is technically legal within the countries they operate. All of this came to a head recently when the European Commission ruled that Apple owed Ireland over €13 billion ($14.1 million) due to the illegality of their transfer pricing and illegal state aid received from Ireland. Under the Treaty on the Functioning of the European Union, it is illegal for countries to provide financial aid to a specific company if they do not also make it available to every company. Prior to 2015, Apple’s Irish branches were taxed based on two similar tax rulings in 1991 and 2007. The Commissioner of the EC, Jean-Claude Juncker, stated that Apple’s paying of less than 1% in taxes to the Irish government due to these rulings (standard Irish corporate tax is 12%) was proof “that Ireland granted illegal tax benefits to Apple, which enabled it to pay substantially less tax than other businesses over many years.” Interestingly, the Irish government has refused to accept these back taxes and has filed an appeal against the decision. The Irish government sees taking the back tax as rolling over and admitting that they – and, by extension, the companies that invest in their country – have done wrong. Recently, Luxembourg’s government has expressed their approval of Ireland’s refusal and plans to support Ireland come time of the appeal. Since their announcement, they have called for the Netherlands and the France to join them, hoping to achieve systemic change within the E.U., but have had little success in recruiting either of these countries. The 13 billion euros owed by Apple, if paid, would be enough to fund Ireland’s entire health care budget or to pay off six percent of the country’s debt. In spite of this, Ireland remains hesitant to demand back taxes from Apple because of the substantial revenue and jobs it provides for the country. Apple’s legal team argues that, even if Ireland did offer unfair advantage to them as a company, Apple was operating completely under Irish domestic law. If anyone should be fined, Apple argues, it should be Ireland, since they broke the European Commission’s rule by structuring their corporate tax in a way that allowed Apple to avoid taxes by relocating money and transfer pricing within the law. While they they refuse to accept back taxes, Ireland has taken steps towards closing the “Double Irish” loophole by creating tax categories known as “knowledge boxes.” Knowledge boxes allow for the collection of tax income from intellectual property in addition to other, tangible sources of profit. 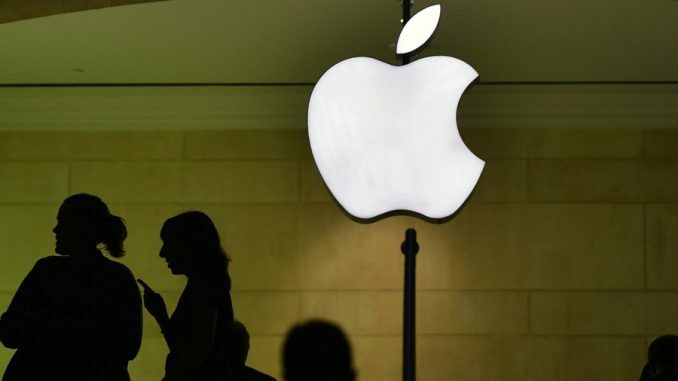 This change will not drive companies like Apple out of Ireland any time soon, but it displays an increasing trend towards a more uniform international tax structure. In the United Kingdom, tax lawyers and politicians have begun to call for more transparency in corporates taxes as well. By allowing the government to see how they allocate funds and what composes the true profit of a company, lawmakers believe they can prevent the U.K. from becoming a tax haven on Ireland’s level. Hunter Snowden is a Trinity sophomore majoring in Philosophy and Political Science from Dallas, Texas.